Modi’s rhetoric in Kashmir on Tuesday will come off as provocative for Pakistani observers. While Modi did use colorful rhetoric toward Pakistan during his campaign for prime minister earlier this year, he has relatively moderated his views on India’s neighbor since coming to power. 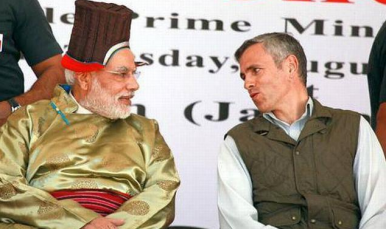 Modi’s Kashmir trip will also serve his party’s domestic political purposes. Jammu and Kashmir will head to the polls later for an assembly election this year. In an unfortunate gaffe, Modi referred to an impending “saffron revolution” in Kashmir, evoking a Hindu revolution rather than an economic one involving the saffron spice which is abundant in the state. Muslims are a majority in Kashmir.